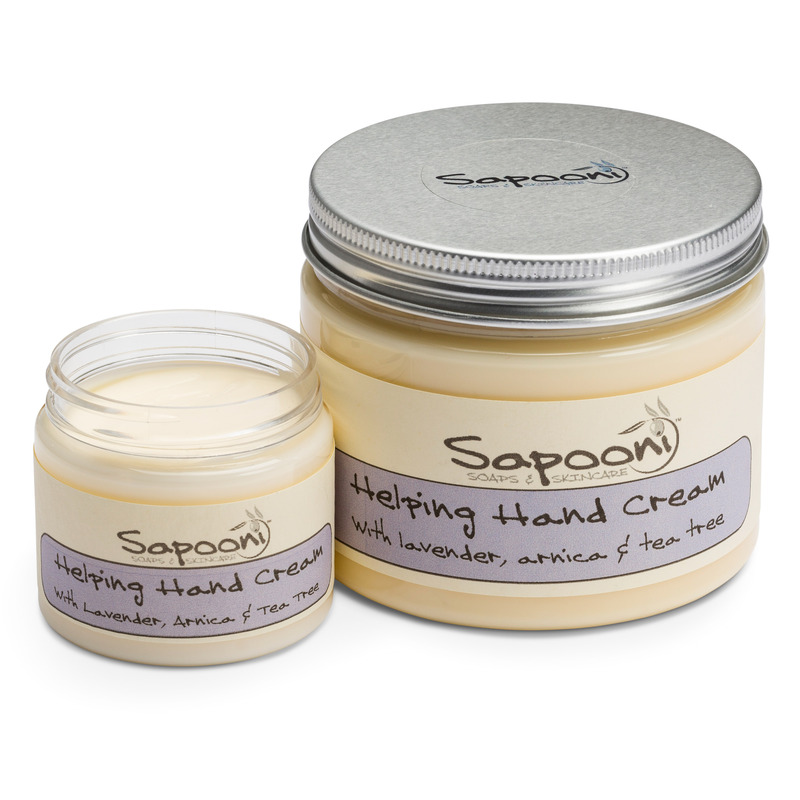 An easily-absorbed hand cream, formulated for hands which are always on the go; keeping them nourished, soothed and moisturised. Based on Organic Sea Buckthorn oil and Organic Shea Butter, our lovely hand cream is rich yet easily absorbed, and doesn’t leave a greasy residue on your hands. We’ve added Geranium, Sandalwood and Ylang Ylang essential oils- which have been used for centuries to treat dry, itchy or inflamed skin. 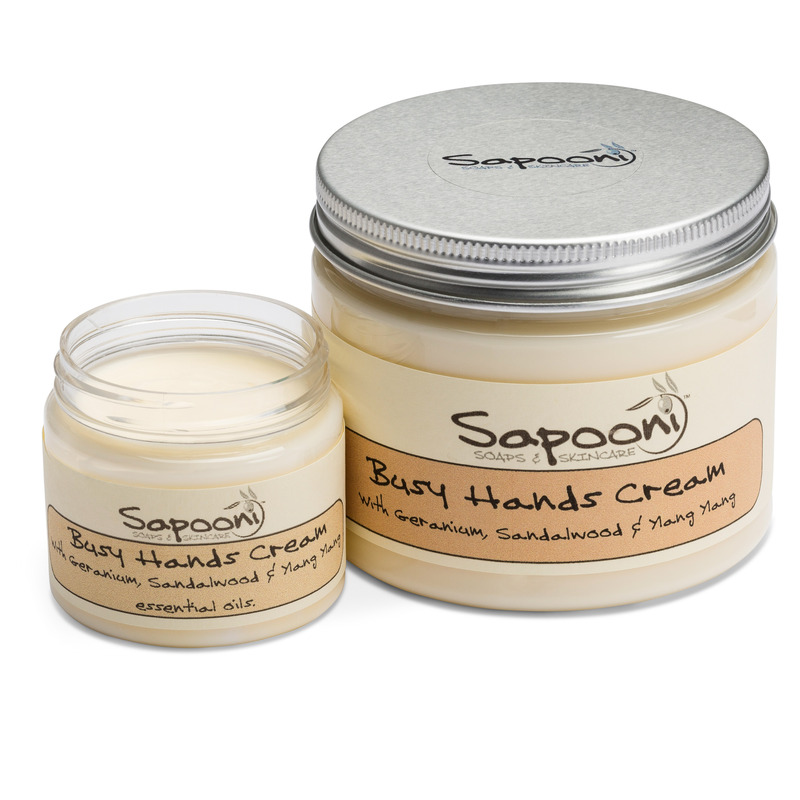 It’s been carefully formulated for hands which are always on the go, keeping them nourished, soothed and moisturised. It’s not too highly scented, so would be equally suitable for both sexes. Available in two sizes; 60g jar, or 240g jar. Geranium, Sandalwood and Ylang Ylang essential oils; Used for centuries for their naturally healing and soothing properties, they’re especially beneficial to dry, itchy and inflamed skin. Aloe Vera; This contains over 200 active components including vitamins, minerals, amino acids, enzymes, polysaccharide, and fatty acids- no wonder it’s been used for centuries to soothe and treat a range of ailments, including burns, sunburn, abrasions, itching and inflammation. Sea Buckthorn Oil (Organic); A rich source of vitamins and minerals, especially in vitamins A, C and E. It’s been widely used in traditional medicines for eons. Aqua, Aloe barbadensis (Organic leaf) extract, Helianthus annuss (Organic Sunflower) Oil, Butyrospermum Parkii (Organic Shea) oil, Cetearyl alcohol, Stearic acid, Cetyl alcohol, Glycerin, Glyceryl stearate, Phenoxyethanol & Ethylhexyglycerin, Hippophae Rhamnoides (Organic Kernel) Extract, Coco glucoside, Pelargonium Graveolens (Geranium) oil, Santalum Album in Amyris Balsamifera (Sandalwood) oil, Cananga Odorata (Ylang ylang) oil. Naturally occurring in essential oils: Geraniol, Citronellol, Citral, Benzyl alcohol, Eugenol, Iso-eugenol, Benzyl Salicylate, Geraniol, Farnesol, Linalool, Benzyl benzoate. Love this hand cream, the fragrance is intense, but full of reminiscence. Hi Ally, this is my favourite hand cream too- great for hard-working hands!